We’ve been a family-owned and operated business since 1954. Since then, we have strived to deliver the best customer service experience to everyone who passes through our door. I wanted to take a minute and give you some feedback about my experience at one of your dealerships. I have been a Hannum’s customer for years now and have usually used your Chadds Ford location for everything and have had some outstanding service there. However, yesterday I ended up celebrating my Hannum’s Tour completion with the crew at the Sellersville location. I started off going there for two reasons. One the weather was great and it gave me a reason to get my wife and I out for a nice ride(a little over an hour). The second reason was to go see on of the best people out there in Dell. Dell sold me our last bike when he worked at Chadds Ford and made it such a personal and enjoyable experience that it was hard not to just go back to the dealership to hang out. The way he handles himself makes it feel as though you are creating this relationship with the purchase and becoming part of the family. Needless to say when he left Chadds Ford it was a big hit for us. Then you brought him back to Sellersville and we were excited, it was honestly one of the reasons that we ended up doing the tour. I figured Media and Chadds Ford were so close and we wanted to visit Dell at Sellersville so what the hell, all that was left was to hit Rahway. When we went to see Dell for the tour the feeling we got just the few minutes we spent at the Dealership got me intrigued about the dynamics of the staff and dealership. That is why we decided to go there for the Welcome Home Party. We were not disappointed, this is one of the friendliest dealerships that I have ever been in from the top down! Saunde exudes energy and passion for what she is doing, it is contagious. Her smile and energy spreads among everyone she interacts with and creates such a positive atmosphere. We had the pleasure of meeting and talking to her yesterday and it was an absolute pleasure. I do not think I have to go into any more detail of we think about Dell, our next bike (hopefully in spring) will be purchased from him and Nicole no question. Which leads me to Nicole and what can I say about her. When we first went to the dealership for the tour I had a pleasure meeting her when talking to Dell and right away it was a comfortable and pleasant conversation unfortunately it was just a short one. Luckily and happily yesterday we were able to have a longer conversation and it was great, we talked for a while. She set me up for my test ride and then after the test ride she made sure to talk to me and ask me what I thought/felt about the ride. I can say that I only had two regrets with my trip to Sellersville. The first being that we were so engulfed in conversation with the staff that we did not see the whole building. The second being that I left without buying the Road Glide that I took for a test ride. I guarantee that I will rectify both in the future with many more visits to the dealership. I apologize for the long e-mail but I did not want to miss any details about the amazing experience that we had at Sellersville. I do not know what you do or say to your people but whatever it is it works. They are some of the most enjoyable experiences that we have had at any Harley dealerships in the US and Canada (and Canadians are ridiculously polite, you beat them). 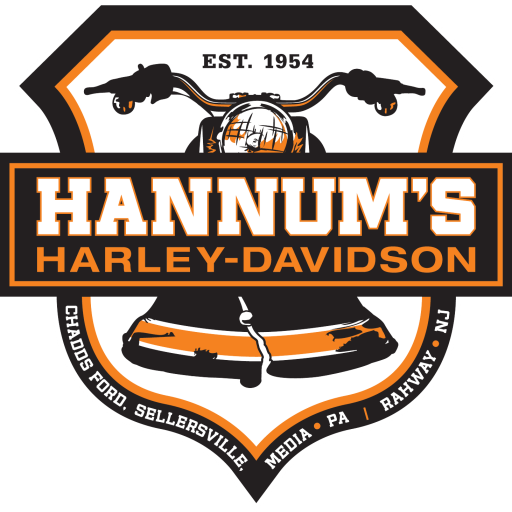 However, the atmosphere of Sellersville is like a Harley home away from home, Please let them know to keep up the great work. It really showed that I am not only the only one that feel this way by the great turn out yesterday. Thank you for your time and if you have any comment/questions please feel free to contact me. Stories like this one from satisfied new Harley owners are what we thrive on. Don’t believe us? Stop by yourself! Welcome to the Hannum’s Family, Mike. Ride safe, and come back soon! PreviousHave you checked your helmet lately?